Whether it’s the luxurious surroundings, the Arabian desert sun putting everyone in constant good spirits, the genuinely sweet staff who cannot do enough for you, or the (however weird it sounds) unique scent of the hotel which I can still imagine now – there is something just so special about this place. 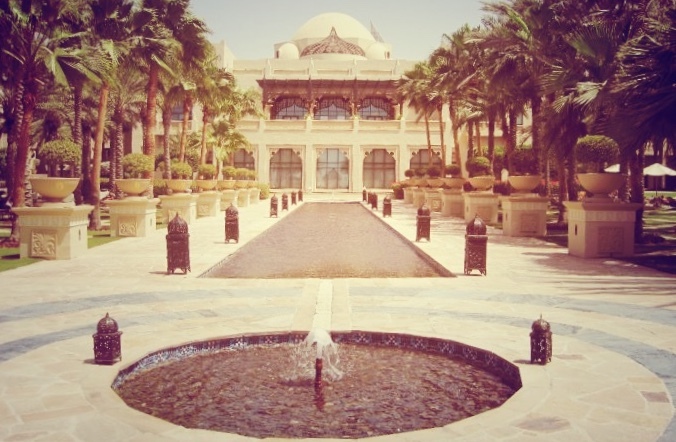 Split into the Palace, the Arabian Court & the Residence & Spa, each quarters of the hotel has its own unique spirit, with separate accommodation, pool facilities and dining. You can venture into the other quarters for evening meals and drinks and to see the other pools – especially between the Palace and the Arabian Court – but the Residence and Spa remains private and exclusive to its guests. 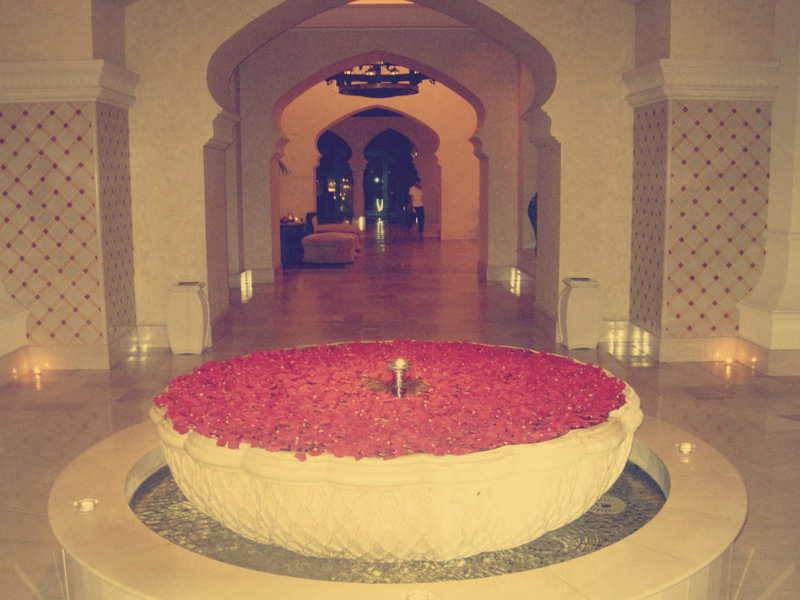 Just a walk from the pool back to your room after a day of relaxing in the sun, or an evening golf buggy ride from your room to one of the hotel’s restaurants will have you gazing in awe at its architecture, filled with beautiful ornate arches, domes, towers and courtyards with rose-petal baths and candles, outdoor Arabian shisha bars decorated with Persian rugs and cushions. And all this set before a stunning backdrop of skyscrapers. Location wise, the hotel overlooks the Palm Island and lies just 20 minutes away by car from both the Arabian desert and the hub of the city centre – close enough to be able to venture out in the day time or evening, but at the same time far away enough to have that peace and relaxation. As with all the other One&Only properties, this really is a gem of a hotel – and not just by 5* standards – and I feel privileged and lucky to have stayed there. For more on what to see and do in Dubai, see my Middle East Memories blog here. I love traveling and I enjoy your site.